MOUNT VERNON, Wash. — Prosecutors on Friday painted an ugly picture of two Sedro-Woolley parents, saying they turned their home into a torture chamber that caused the death of their adopted daughter. Opening statements in the homicide-by-abuse trial of Hana Williams began Friday at the Skagit County Courthouse in Mount Vernon. Prosecutors say everything was fine when Hana was first adopted, but they claim as time went on she received more beatings and less food. 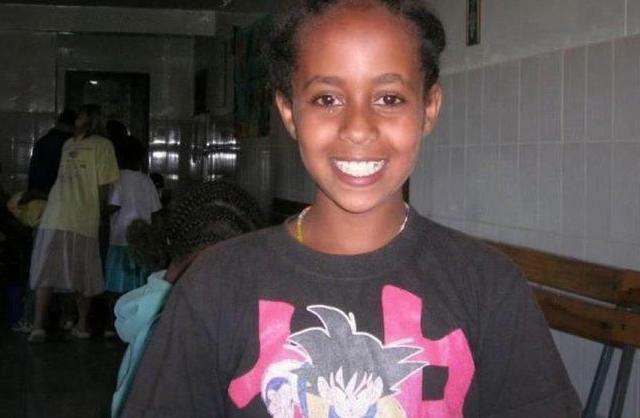 Less than three years after arriving in Sedro-Woolley from Ethiopia, Hana was dead. Her adoptive parents, Carri and Larry Williams, were charged with abusing the teen to death. “She found her dream come true when she found adoptive parents and came to America,” said Cassie Trueblood, the attorney for Carri and Larry Williams. But prosecutors paint a different picture, saying the girl suffered horrendous abuse in the guise of discipline. They told jurors that Hana wasn’t punished, but tortured. Jurors heard how Hana was forced to sleep in the barn or was locked in a shower room or closets. “Five-foot tall Hana living in the closet up to 23 hours at a time, that’s not discipline,” said prosecutor Rosemary Kaholokula. Defense attorney’s claimed Carri punished Hana and her adoptive brother, Emanuel, for stealing junk food and blamed the timeout locations on a big family. “Because the boys used one room and the girls used another, she couldn’t send a child to their room,” Trueblood said. Hana and Emanuel were reportedly isolated from the family’s seven biological children during timeouts. Prosecutors say they were also excluded from Christmas festivities and forced to eat outside. Carri Williams sobbed openly in court on Friday as lawyers described the day Hana was found dead in the family’s muddy back yard. The girl died of hypothermia, but she also suffered from malnutrition. Defense attorneys told jurors they weren’t in court to determine if Hana’s adoptive mom was mother of the year, but to determine if she caused Hana’s death. Read more at KOMO News.